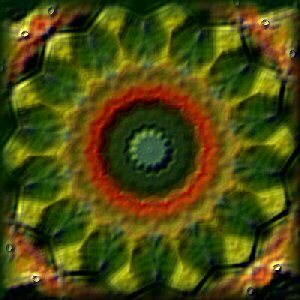 A ring of painted leaves against a yellow sunburst surround a mandala in red and green, potent pagan colors. "Ask the Green Man where he comes from." You won't get any answer. This is a humble propitiation. I hope he'll give us one more chance, but I am not sanguine.